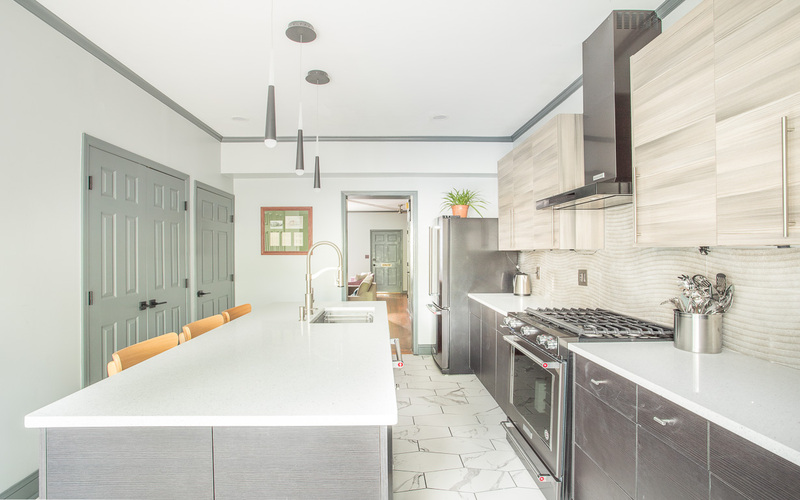 Welcome to Perry Street Modern! Enter into the newly renovated parlor room! The living room balances chic with comfortable. Enjoy the flat screen TV. A half bath is located under the stairs. 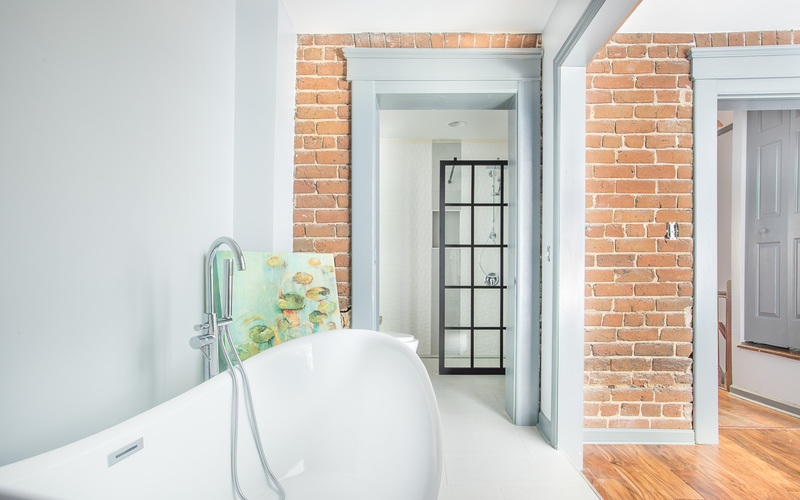 View of the half bath. Like entertaining? 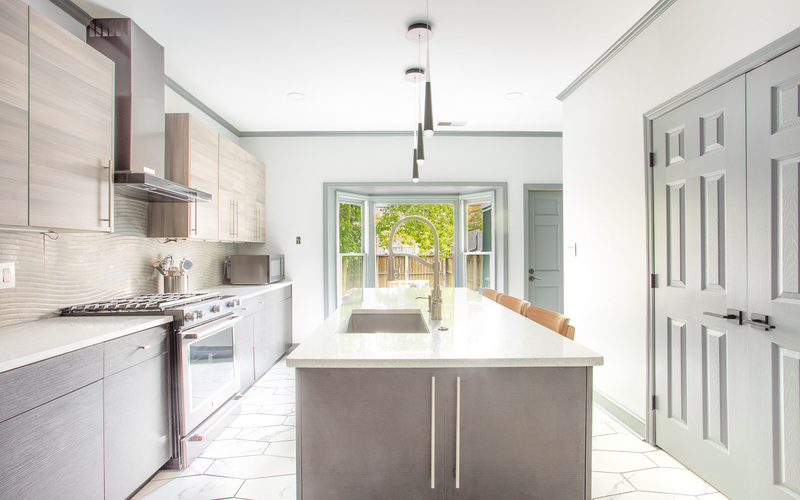 Check out this kitchen. 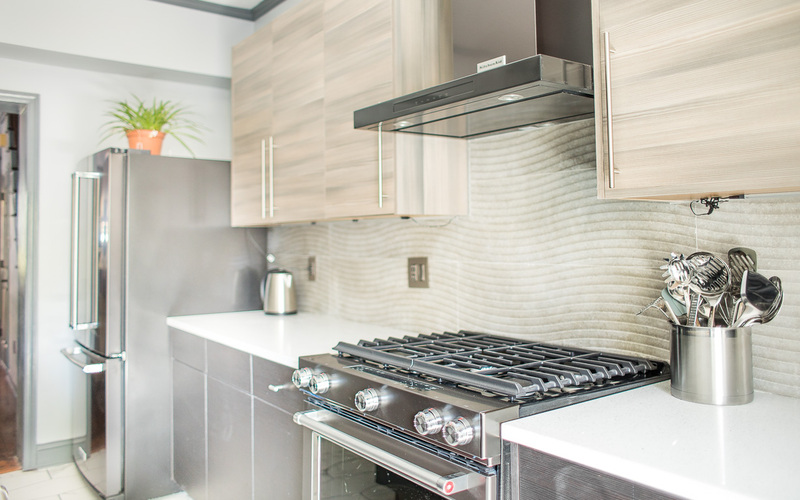 Cook dinner in with the gas range and stainless steel hood. 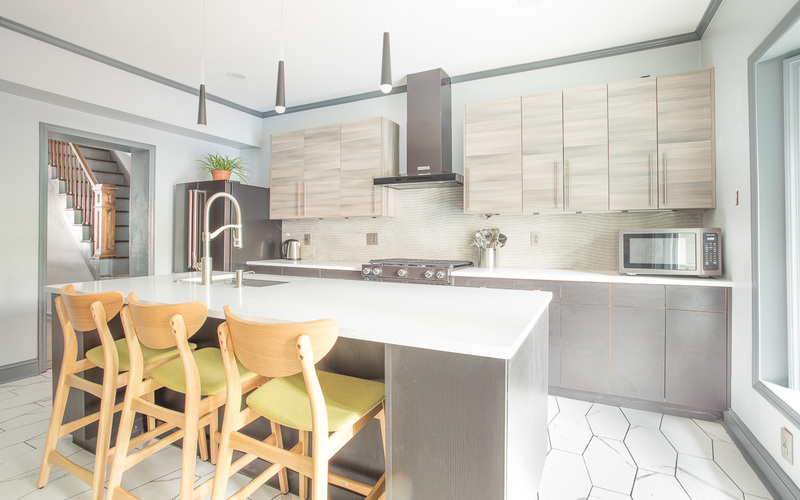 Start your day at the kitchen island. An open plan allows for easy conversation. Dishes, glassware, and utensils are provided. The first bedroom has a King size bed. 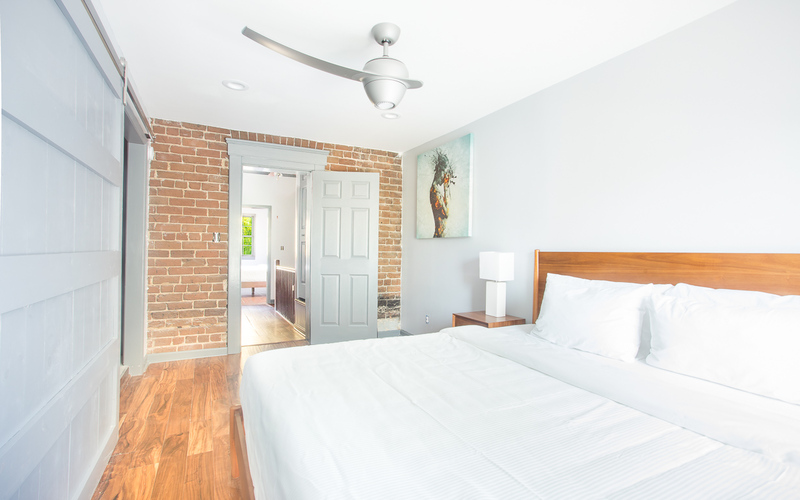 Enjoy beautiful views of downtown Savannah from bed. The bath is en suite to the bedroom. View of the full bath just off the bedroom. The bath has a tub/shower combo. 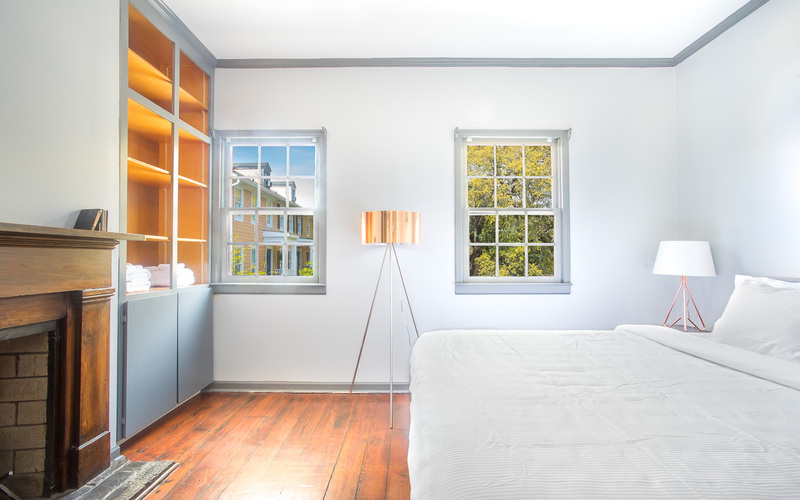 The master bedroom takes your breath away. Enjoy hotel-grade linens on the King size bed. 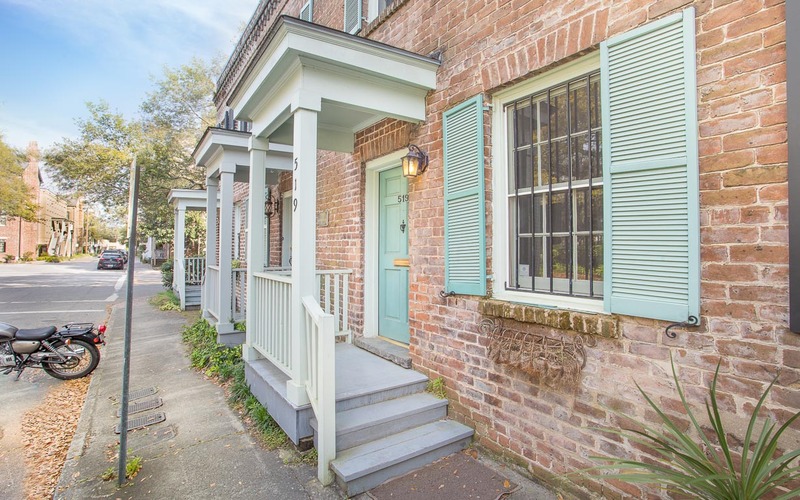 Spacious digs in charming, historic Savannah. Take a well-deserved soak after a long day of exploring. 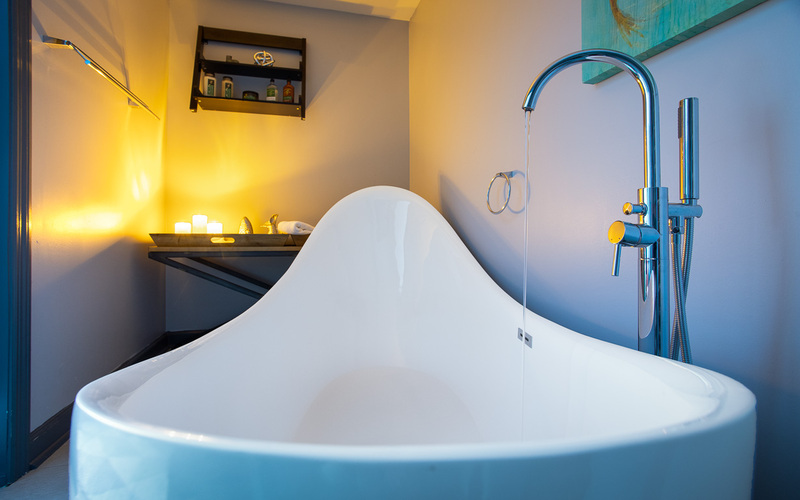 Enjoy the master soaking tub with provided votive candles. 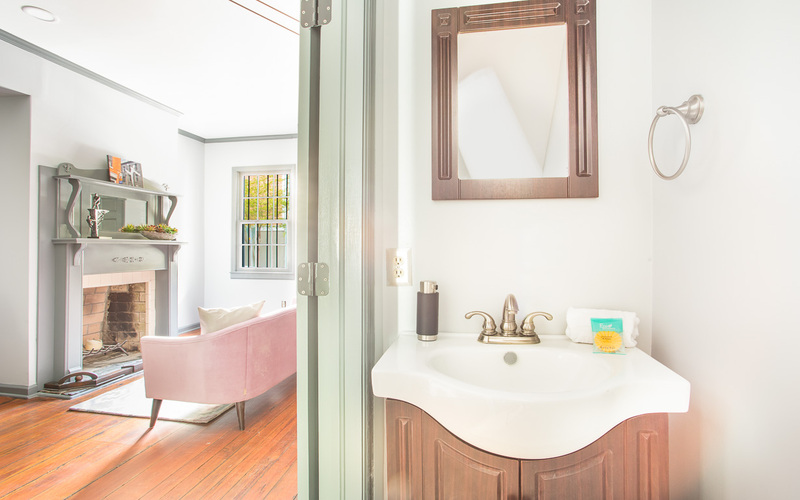 Take a long soak in the master bath tub. Your private oasis after a long day of sightseeing. View of the soaking tub and attached master bath. 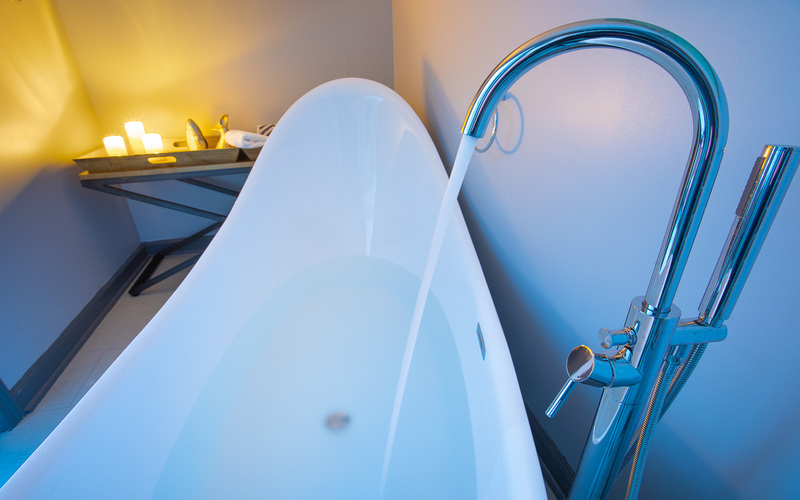 A proper full bath is connected to the soaking tub. 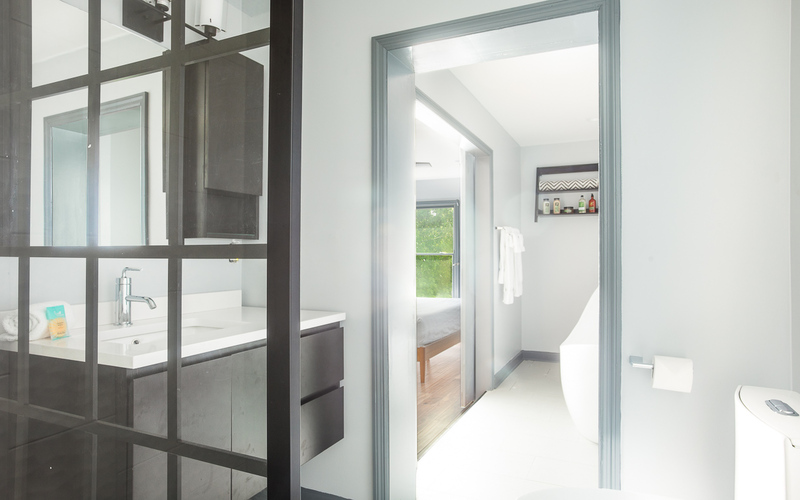 The steel and glass partition gives this bath a chic update. A private courtyard is found at the back of the house. Your charming abode! Perry Street is very central to most downtown attractions. Take the scenic route home and enjoy the Southern sunset. 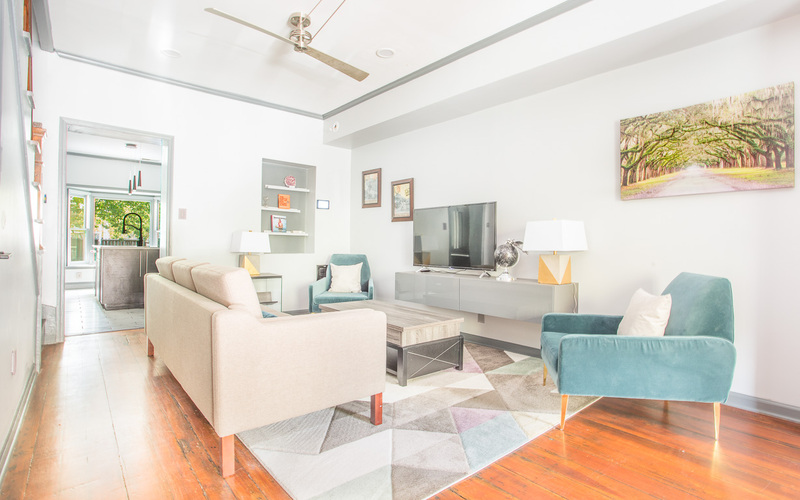 Facing Crawford Square and a short walk away from Savannah's most popular attractions, Perry Street Modern strikes the perfect balance between contemporary living and Southern charm. 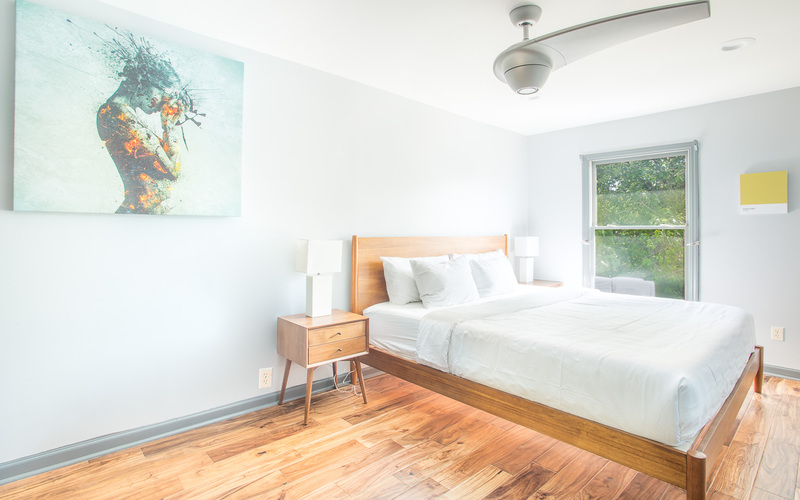 Up to six guests can comfortably stay in this recently renovated town home, with two spacious bedrooms - each with King size beds - and two en suite baths. 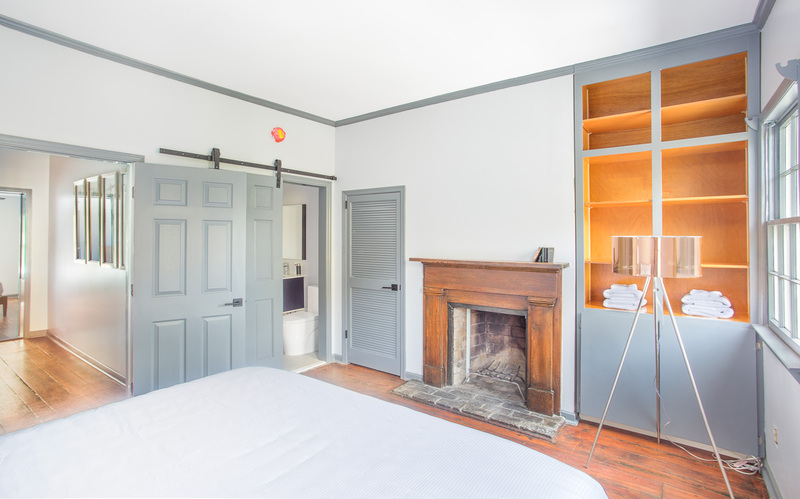 Two additional guests are welcome to the hidden murphy bed and adjacent half bath with the entire first floor to themselves. 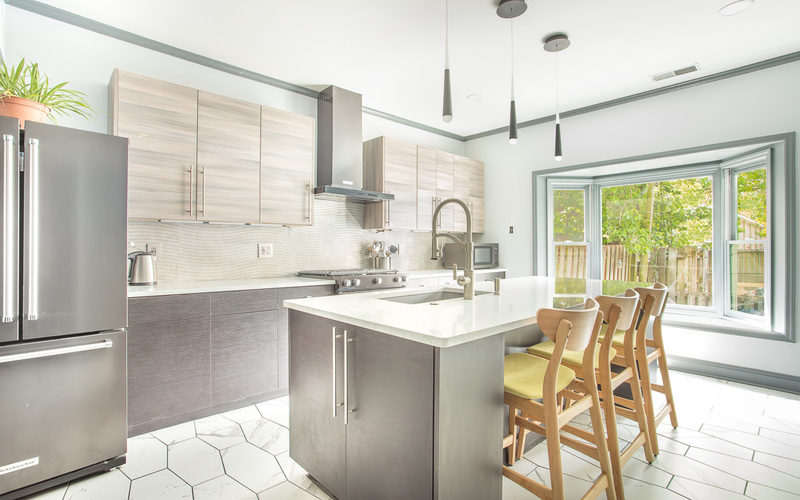 Towards the back of the home is the massive kitchen; ideal for entertaining and cooking a full meal. Head due West and explore the unmarked graves at Colonial Park Cemetery. The Cathedral of St. John the Baptist is right around the corner, while a walk North will get you closer to Broughton Street (our "Main Street") and River Street. 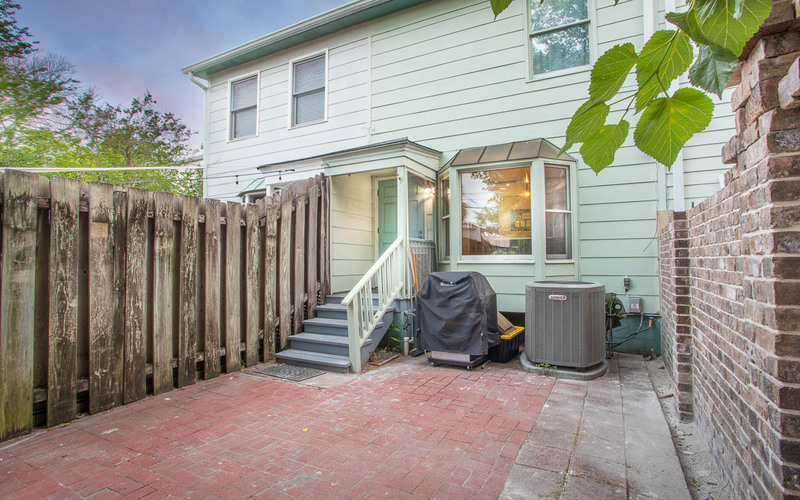 What is parking like for this home? Guests have access to two, designated parking spaces off-street in Perry Lane. Clean, convenient, and very responsive Lucky Savannah team! We had an amazing time in Savannah for NYE and staying here was a big reason. Super clean and in a great location for walking around and seeing the city. Communication was easy with quick responses and a great home to stay in. Would recommend this place to everyone!! Loved everything about the place. The location is perfect and beautiful since it is located in one of the cities park squares. The property is decorated nicely and our family of 6 had plenty of room. We ate out every night so we didn't utilize any of the kitchen appliances, but the only negative I would say is that there is no actual table to eat dinner on as a family. It didn't bother us as we only ate breakfast in the house. The island has space for three people and there is a small table that fits two people. I would definitely stay here again. The house was extremely nice. It was very nicely decorated and there was plenty of space. Parking was easy and right out back. Although it was a little further away from downtown than we usually stay, the walk was not bad at all. The Lucky Savannah folks were very helpful and professional. We had a problem with the air when we arrived and literally within minutes, the had someone out to look at it and had it fixed. We would definitely stay there again! 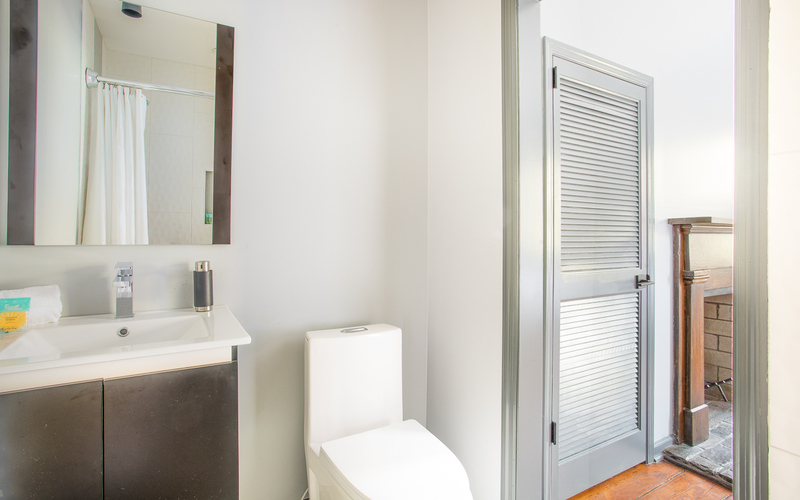 It was easy to use all aspects of the rental (private parking, murphy bed, door mechanism, ceiling fans, etc.) 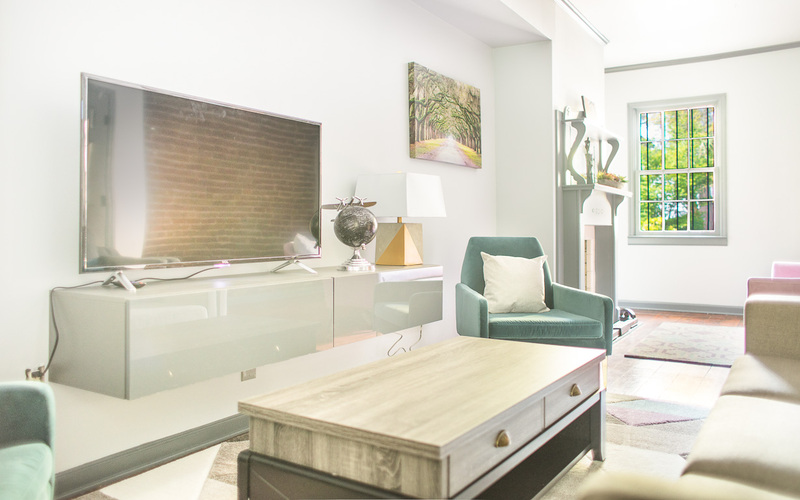 The apartment was super clean, well decorated and provided most of the things we needed/wanted (wifi, netflix, dishwasher, central ac, lots of seating) The management gave me consistent attention and instruction every step of the way and the guide printed out for the guests was extremely helpful. We would absolutely recommend this vacation rental to anyone! A/C did not work in Harper House. Lucky Savannah was on top of this immediately with service people twice, which they determined was not fixable. Lucky Savannahs representative, Jade, insisted we move, no choice, I was not happy and was rude. I apologize now to Jade who was very polite and very professional, she was right and I was wrong. Lucky Savannah upgraded us to a wonderful rental property with A/C. Thanks for Lucky Savannahs attention and wonderful personal, they made our vacation. 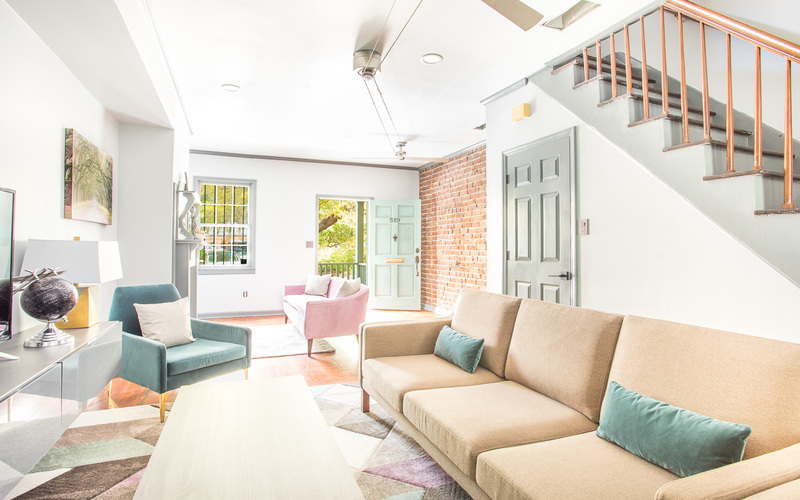 Every part of our vacation was made better with our Perry Street stay! 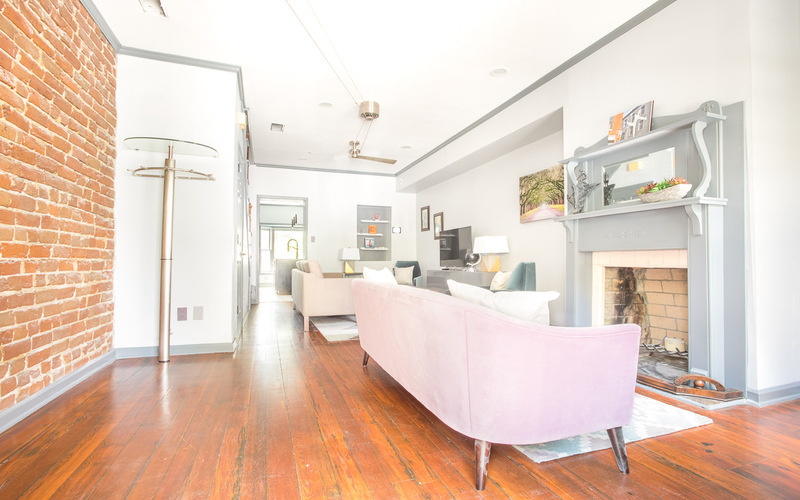 Location is great as it's only a 10-20 minute walk to most of the popular places in Savannah. The space is tucked away and quiet and we always felt comfortable and cozy while in our rental. It's beautifully upgraded and will definitely return if we get a chance! We stayed at Perry Street Modern for 5 days to celebrate my 60th Birthday and our Wedding Anniversary. There were 5 adults and a toddler. The house easily fitted our needs. It was definitely very modern and we loved the cool look fans - I did look up where to buy them from!! The kitchen had everything we needed and we did eat in 1 night and could all sit round the island easily. 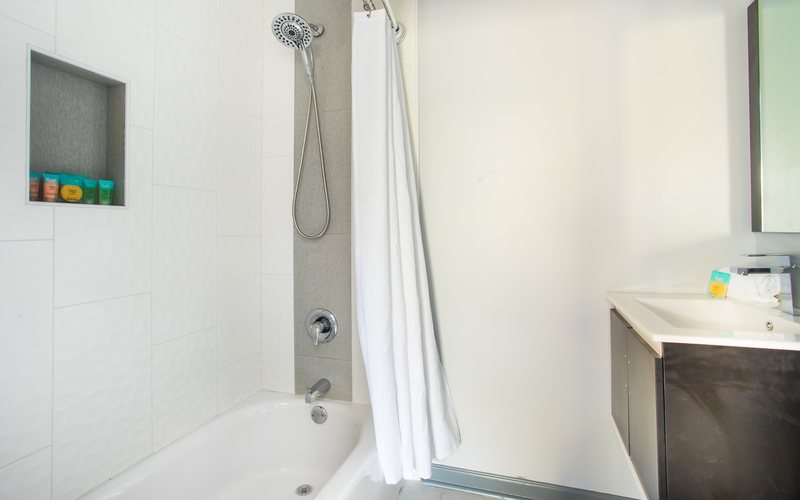 The bedrooms were comfortable and I thoroughly enjoyed using the huge soaking tub. My husband, daughter and I had not been to Savannah before and it was easy to walk to all the Restaurants and shops in Downtown from there. My daughter organized a Photo Shoot for us all in Forsyth Park and that was good fun. I really wanted to go on a Horse and Carriage Ride but we weren't able to fit that in to our busy schedule. A good reason to plan another trip!!! We drove out to Pooler to the Outlet Malls and the fantastic Pie Society (British Pies which were delicious) one day and also went to the Beach at Hilton Head. Parking was good at the property with room at the back for 2 cars and we parked our 3rd car in the street outside. We had one issue with the TV channels and someone from Lucky Savannah came out and helped with that quickly. The only negative comment I would make is that the stairs are very steep and may be an issue for older guests.